The true, first-person account of a captured World War II soldiers incredible escape and courageous journey home, discovered after more than fifty years. 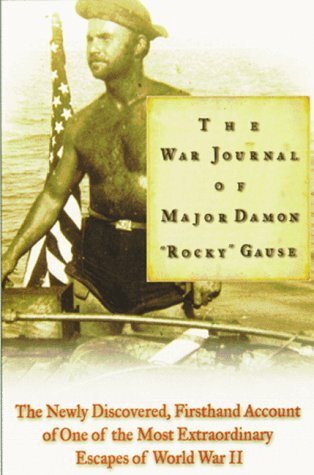 Of all the heroic stories to come out of World War II, few are so extraordinary as that of Major Rocky Gause, who was captured by the Japanese, escaped from the infamous Bataan Death March, and, with a fellow soldier, endured a harrowing voyage across the enemy-held Pacific in a leaky, hand-crafted boat. In the battered notebook he kept throughout his journey and later converted to a thrilling narrative, Gause traced his steps from the besieged city of Manila on New Years Eve, 1941, to his safe landing on the Australian coast ten months later.